You are currently browsing articles tagged founder. Caution! Grass that's high in simple sugars and starches can trigger a laminitis attack in sensitive horses! For me, the first sign of spring is not seeing a bluebird, it is getting that first panicky phone call of the year from a horse owner, asking for help with a laminitic horse. That happened yesterday, so be warned and take preventive action if your horse may be prone to laminitis from spring grass! A soaking rain, followed by unseasonably warm weather, is providing perfect conditions for the grass to grow like crazy here in the Tennessee Valley. 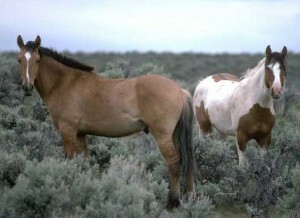 If you suspect your horse may be at risk, the time to act is NOW! 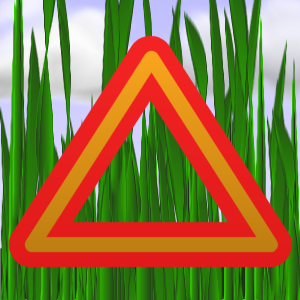 Limit or remove access to green, growing grass before you have a problem. 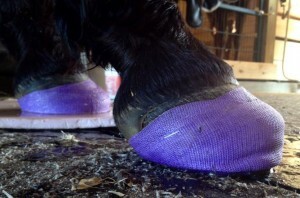 Just because a horse didn’t suffer a laminitis attack last year, doesn’t mean he’s safe this year. Watch the live webinar on endocrine laminitis this afternoon, or view an archived version if you miss the original broadcast of The Laminitis Revolution. Learn more about laminitis, Equine Metabolic Syndrome, and Cushing’s disease at the Talk About Laminitis website. Did you miss the live webinar broadcast? You can view a recorded video here. As the spring grass begins to sprout under your horse’s hooves, you may have many questions about laminitis. “Is my horse at risk for laminitis?” “How could laminitis affect my horse’s health?” Don Walsh, DVM, will answer these questions and more in a laminitis webinar for every horse owner. How can you tell if your horse is at risk for laminitis? 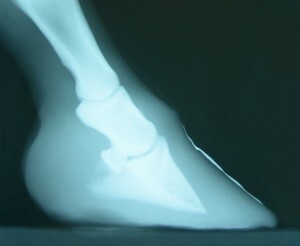 How does laminitis become a fatal disease? What are the facts of spring-grass-laminitis and the role of insulin resistance? Is there any new research on laminitis? A veterinarian who specializes in laminitis and founder, Don Walsh, DVM is the founder and president of Animal Health Foundation. AHF is an organization that seeks to understand and prevent laminitis-founder complex in horses by funding research and educating horse owners about the disease.